Facebook app design for WIRED Science. WIRED SCIENCE: What Element Are You? 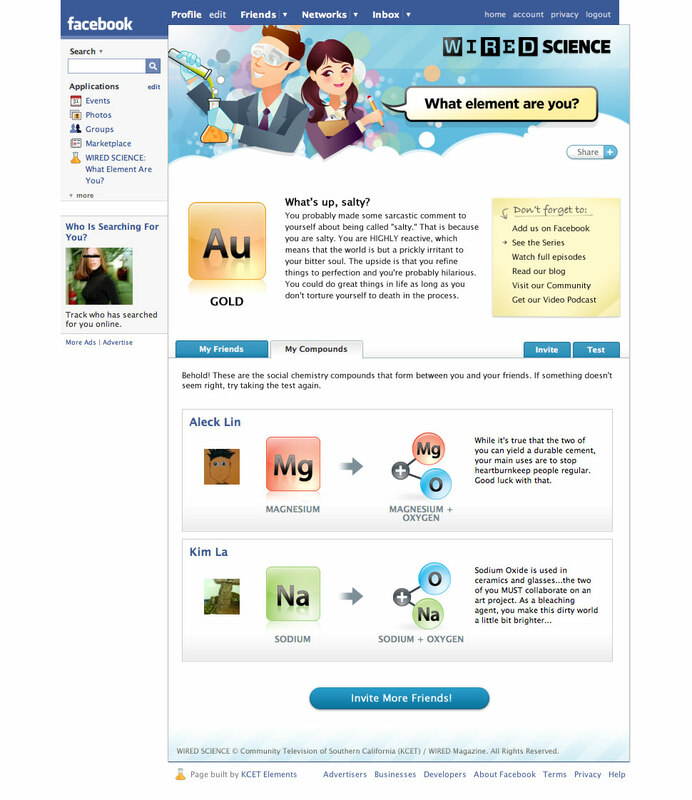 is a fun app that lets you take a short quiz to find out what element you are from the periodic table. 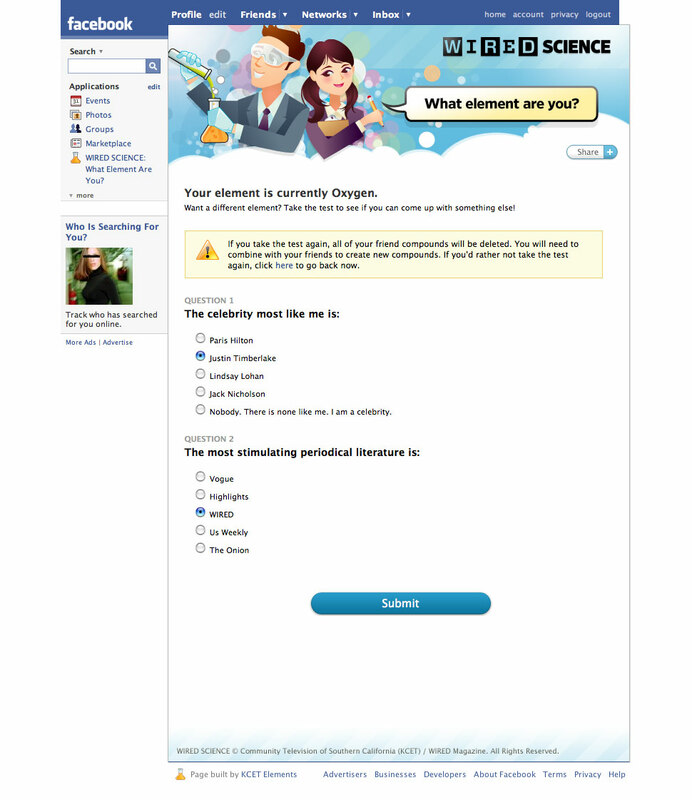 Then you can combine your element with your friends and it will tell you the relationship between the two of you.